As the CTO, Varsha Bhave has overseen the development of Projectmates, www.projectmates.com, Richardson, Texas, from inception to the software it is today. In the 1990s, the Internet was coming of age with advancements in browser technology, and email was commonplace. 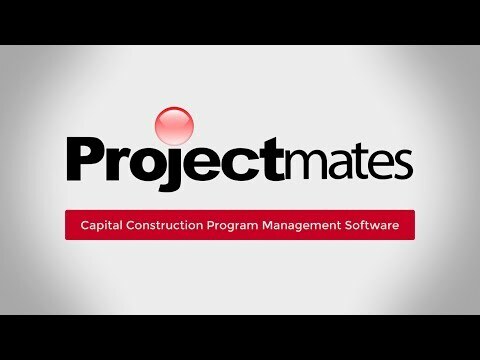 There was skepticism about putting project information online and collaborating with a single cohesive project management software like Projectmates. At the time, when promoting the placement of project information online and making it easily accessible we were asked questions like, how does it work, is it safe, why should I replace my paper-based processes, and what is ultimately in it for me? Today we live in a different world. The social media experiment changed everything. We do not hesitate to put the most personal details of our life online. We bank online. We trade online. What has changed? Our attitude toward sharing information after seeing the tangible benefits, as well as, advancements in the mobile technology and safety protocols of the software we use. The construction industry is now catching up. For early adopters, the efforts of digitizing paper processes are paying off in multitudes. Today we are seeing corporate owners take advantage of dynamic realtime reports to avoid delays and spot inefficiencies early in the process. Plans and project data are captured and stored for immediate access years after project close-out. Advances and adoption of social media platforms also showed us that the Internet has an increasing and almost limitless memory for all aspects of data. Moreover, with the help of the right business intelligence tools, project data can be harnessed to produce project analytics to see a picture of the entire construction program and to understand best practices and gain efficiencies. Project-management software now can control costs better and keep tighter schedules; using technology to give new insights to improve project performance drastically. Moving forward, I believe industry standards will expect project-management software to integrate BIM (building information modeling), business intelligence, and realtime PDF markups to increase team collaboration as a typical feature. The incorporation of data from BIM into the actual project will make it so the team can collaborate and communicate efficiently. Also, more critical and extended use of AI (artificial intelligence) will track data and look for patterns to give predictive project adjustments based on historical input. Project-management software is trending towards integrating more static data from multiple platforms and filtering that information into smart data that is actionable with realtime inferences. The future will hold more importance on data augmentation with AI. With AI, we have begun marching towards predictive assistance for future projects based on historical results and real-world inferences. Project-management software is trending towards integrating more static data from multiple platforms and filtering that information into smart data that is actionable with realtime inferences."